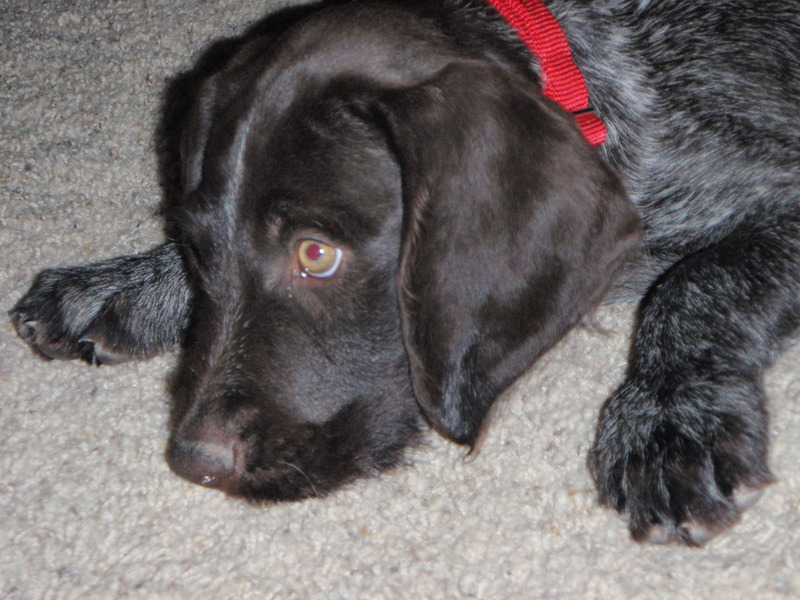 Twenty pounds of squirming, squeaking, squalling puppy … Three Devils Linden’s Wingman is now part of our pack. Uneventful drive home from Idaho (frequent stops and our first swim! ), and now the real work begins. Buddy and our Corgi Emmy are tolerating him very well (fingers crossed). Learned a couple pups ago that introducing all the dogs in neutral territory (in this case at the breeder’s kennel) is a great way to avoid turf battles. Now, here’s hoping he sleeps through the night VERY soon! Great looking pup Scott. Congratulations! The best of luck to you and I look forward to watching and reading all the stories.